Macrophage and E. coli. Coloured scanning electron micrograph (SEM) of a macrophage white blood cell (orange) engulfing Eschericia coli (E. coli) bacteria (rods). This process is called phagocytosis. 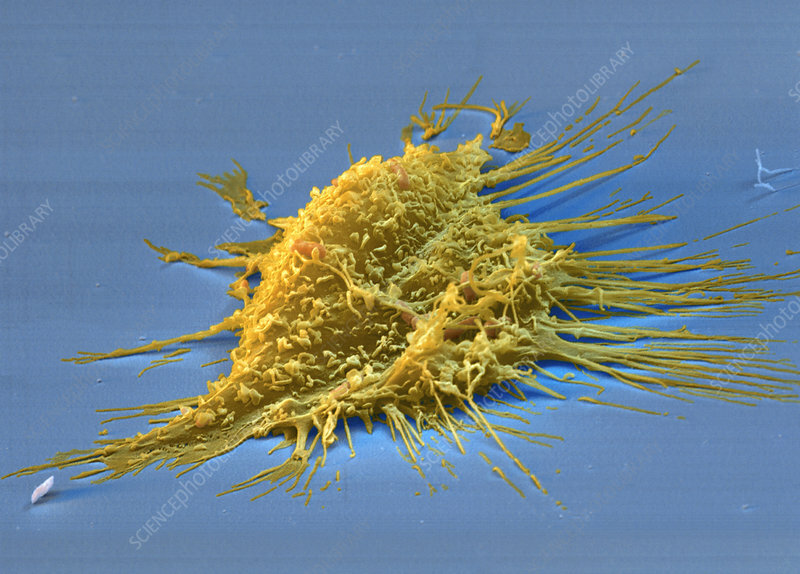 Macrophages are white blood cells which attack many types of disease-causing organisms and clean up cellular debris. E. coli bacteria are found in the lower intestines of most mammals. They are usually harmless, but different strains can cause meningitis, septicaemia or food poisoning. Magnification: x3000 at 6x9cm size.